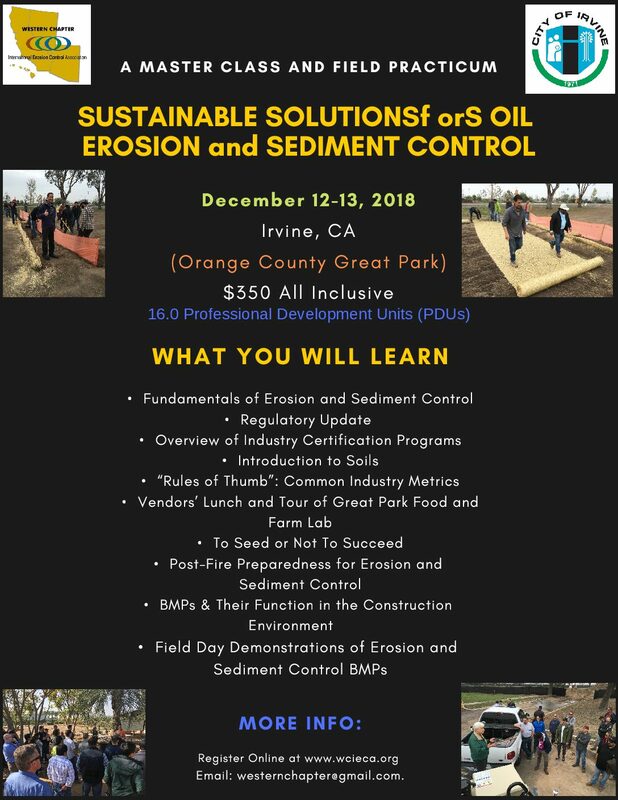 This Master Class will cover some of the fundamental subjects on which an applicant for Certified Professional in Erosion and Sediment Control (CPESC) needs to refresh his or her knowledge. The course also includes advanced topics on Erosion Control Metrics, Storm Water Management Planning, Soil and Seed; and Post-Fire Hazard Assessment and Mitigation. Attendees earn 16.0 Professional Development Units (PDUs) for the two-day event. One day options added for 8 PDUs – $200! Registration will be available online until Dec. 13. On-site registration will be on a space-available basis. Confirmation and directions to the venue will be sent with a class reminder the week of the class.